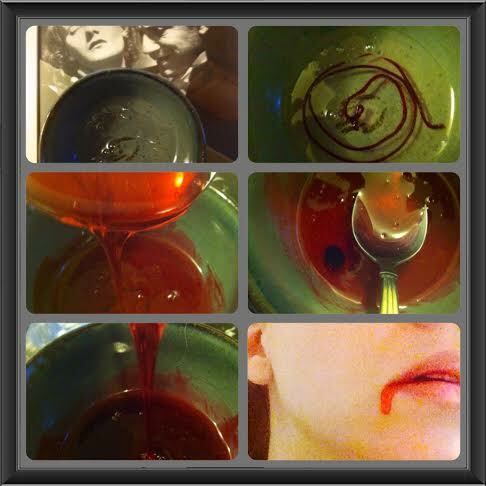 Over the years – okay, about every other month – I get the opportunity to make fake blood for various reasons. Running a Zombie Walk requires, literally, gallons. But did you know that there are different recipes and that buying a jug of dark pink liquid at Halloween time is not your *only* answer? In fact, please don’t waste your money. Making blood at home is cheap, effective and it is so easy to make edible! Why would you not? 1. Pour the Karo syrup into a clean container. Plastic is fine if you really enjoy having your plastic containers stained red from here on out. Maybe you’re into that. I’m not judging you. 2. Mix in red food coloring. I’d shoot for about 6 drops per half cup of syrup. It’s hard to over-do it with the red, but easy to under-do it. Liberal amounts of red! 3. Mix that baby up. It looks good, yea? But wait! It can and will look better. 4. The secret ingredient? One drop of blue food coloring. ONE! I mean it. Any more than that and you’ll have purple blood on your hands, like some kind of Barney massacre. Just one drop of blue adds a depth and richness. 5. See! I was right about the blue, wasn’t I? 6. Do this cool shot and send it to me. You just made blood. Pretend like you’re Gary Oldman in Dracula. The only drawback to this blood is that it’s nothing but sugar, which in theory sounds delightful but in actuality can make you want to throw up. Still, this creates loads of blood for about $5 that is safe and non toxic. Apply it with a paint brush to scars and you’ll have a shiny, oozy mess. I have to give props to Tish Delano for exposing me to the wonders of this recipe. A bit more true to color and more palatable, this is a great go trick to have up your sleeves! 1. 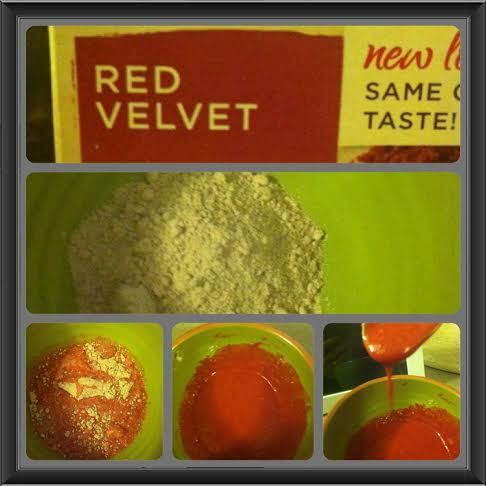 Get yourself any kind of red velvet cake mix. There is truly no superior brand for this. 2. Pour about half a cup of dry mix into a bowl. Any bowl will do! The cake mix coloring washes out easily. 3. Next you’ll need to add some water. I’d add about a quarter cup, but feel free to play with the amount until you achieve the consistency you’re after. 5. Gross out the world and make everyone wonder where that cake smell is coming from at the same time. What’s so wonderful about this recipe is how affordable it is! It’s even cheaper than the Karo syrup recipe and an entire box of cake mix can last you an entire Halloween season. Or, if you’re like some of us, it might last you a week. Making your own horror elements is fun, generally not too tough and almost always saves you money. Have a better recipe or a tweak to one of these? Show off in the comments below! I'm a child of the 80's who grew up on horror films, hair bands and Pee-Wee's Playhouse. This culminated into the perfect storm of weirdo person able to function in polite society.